Astons Estates are pleased to offer for sale this WELL PRESENTED EXTENDED FAMILY HOME situated on the ever popular Poets Estate. 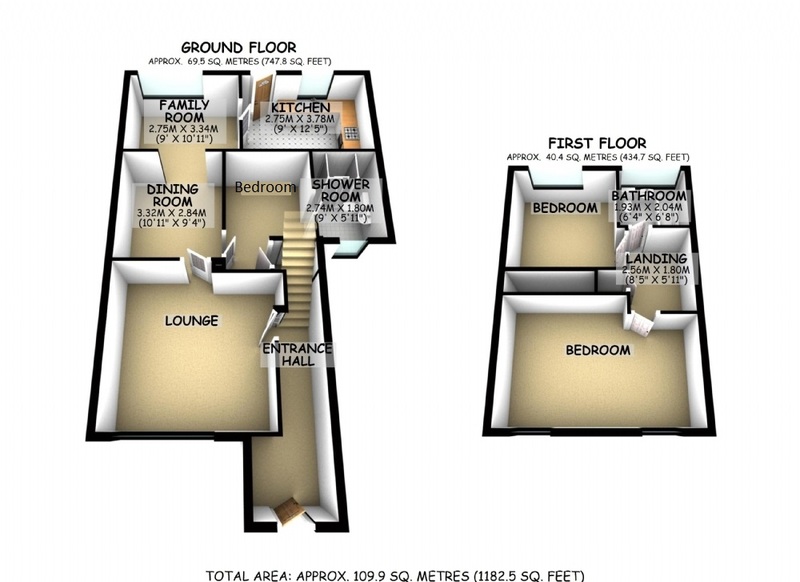 The property benefits from SEPARATE LOUNGE and DINING ROOM, study/FAMILY ROOM, THIRD BEDROOM, replacement double glazing, gas radiator central heating, refitted kitchen, DOWNSTAIRS SHOWER ROOM and gardens to front and rear. GARAGE in a block. An internal inspection is advised. Wood Laminate flooring, radiator, cloaks cupboard, coved, stairs rising to first floor. 13'10 x 13'6 Radiator, television point, textured ceiling and coved, double glazed window to front. 11'2 x 9' Refitted to comprise eye and base level units, Rangemaster with extractor canopy over, plumbing and space for automatic washing machine and dishwasher, space for fridge/freezer, storage cupboard, double glazed window and door leading to the rear garden. Suite comprising double shower tray, low level WC, pedestal wash hand basin, Heated towel rail, double glazed obscured window to front. 15' x 11'5 Formally Bedroom one and three, and could easily be converted back to two rooms. Radiator, range of built in wardrobes, storage cupboard, two double glazed windows to rear. 9'7 x 9'4 plus door recess Wood laminate flooring two built in wardrobes, double glazed window to rear. Suite comprising Panel bath with mixer tap shower attachment, pedestal wash hand basin, low level WC, radiator, double glazed obscured window to rear. Laid to lawn, pathway leading to front door. Patio area, rest laid to lawn, shed, gated rear access. Located in nearby block, metal up and over door.